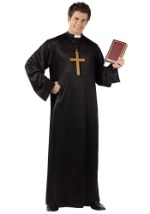 Offer friends your blessing in this Mens Priest Shirt. 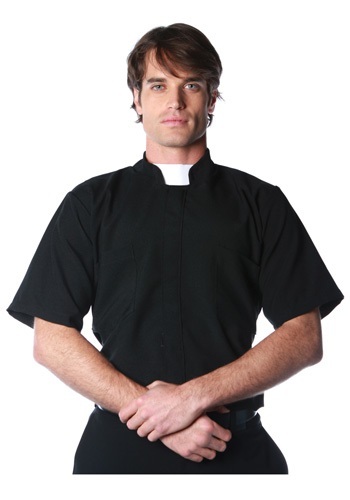 The black polyester short sleeve shirt has Velcro™ snaps down the front and two breast pockets. 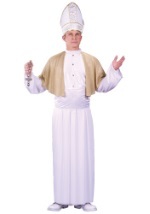 A white Roman-style priest's collar is held in place by Velcro™. 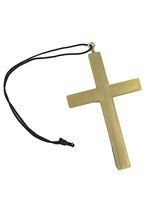 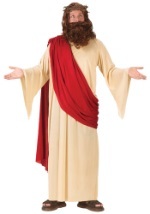 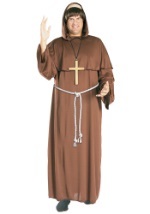 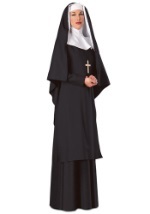 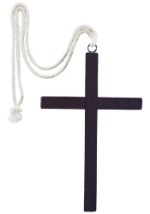 Add black pants, rosary beads, a cross necklace and our Bible flask.